I’m ready to burn one last time in Michigan! Tonight’s my last night at Revival Church…see you there! After nearly six years of amazing adventures in Michigan tonight is the last time I’ll be ministering at Revival Church, at least while still living here! I can’t wait to cast the vision for full blown, intense revival and to connect with some of Detroit’s most amazing warriors! 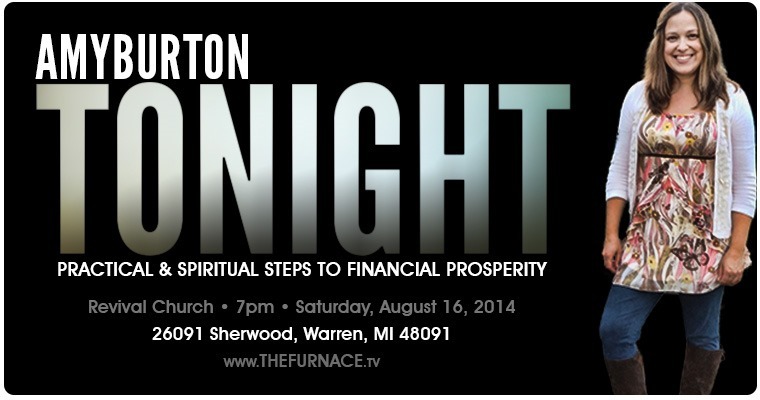 Prayer starts at 6:15pm and the service begins at 7pm! Oh, also…I NEED SOME HELP!! 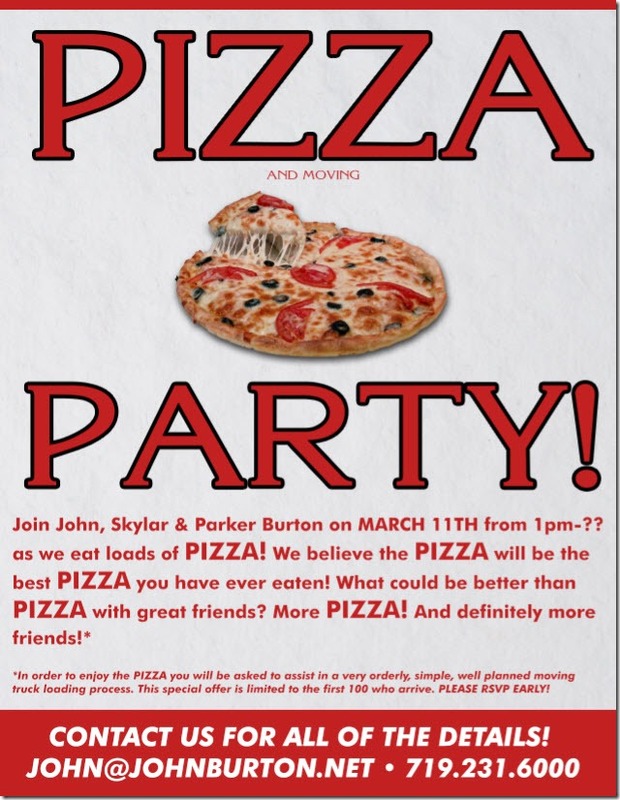 We’ll be loading up the moving truck on Wednesday, March 11th at 1pm. It will be the EASIEST move you’ve ever experienced. Everything is already in the living/dining room and garage, ready to be put on the truck. With help we should knock it out in an hour. Can you help? PLEASE let me know. We’ll also need help doing some minor cleaning to make the house ready for the new owners. My second to last message at Revival Church is critical—Nephilim Doctrine. I'm concerned that the American church has become so enthralled with psuedo-unity and mis-defined love that we are affirming false teachers as if they were comrades. Passivity does not equate to unity and silence does not reveal our love. Those who have been put at risk of Hell by those who are careless with their theology are the ones who deserve our love, care and attention the most…and that often requires a hard, unmovable stance. I’m watching a couple of things happen: Unnecessary division and inappropriate unity. We must watch and beware—and expose the darkness! We much be careful that we don’t fall ourselves. It will be VERY easy to do so. The falling away will be GREAT. Now, Peter wasn’t deceived by false teaching, he knew the Truth and he still boldly, intentionally denied Christ! The risk is even greater for those who think they know Christ but are deceived! This is a very real warning that we must heed. We must stand. Deception will hit millions of current Christians—and the key deception is that the error isn’t something to be that concerned about. These are not people who will take on the identity of Christ but who will come in his name and misrepresent him. Why? They oppose the truth. True Christians will be persecuted for their faith, for their beliefs. Impostors are those who are deceiving and being deceived. Understand, these aren’t leaders of obscure cults—these will be leading mega churches with crosses on their steeples, phenomenal worship and preaching out of the Bible. Note that this isn’t titled “The Doctrine of Nephilim,” as that would take us into an entirely different direction. In scripture we know that the Nephilim were the offspring of fallen angels and humans. Many believe demons are the spirits of dead Nephilim, but regardless of that we clearly know that they were unholy offspring. Demonized children. A different breed altogether. What I call Nephilim doctrine is when a demonic seed, a doctrine of demons, is deposited into people who are seeking after truth. It’s a theology of mixture—pure Bible truth that has twisted theology, philosophy, mysticism, etc. mixed in. When people made in God’s image become intimate with doctrines of demons, unholy doctrine is reproduced. Nephilim Doctrine. Half man, half demon. Doctrines that are received by people who were made in the very image of God results in mixture and a defiled offspring—children that are part ‘image of God’ and part ‘image of Satan’. This is extremely sobering! For example, False Grace is a Nephilim Doctrine. It has much truth and some mixture. Other Nephilim Doctrines might include various New Age beliefs, mysticism, spirit travel (traveling to Heaven at will), “positive Christianity,” simple ideas like “God is always in a good mood,” or teachings that God no longer judges, manifest sons of God, Gnosticism, etc. There are Nephilim churches and ministries that are mostly amazing but greatly compromised due to demonically inspired teachings. If you had a gallon of fresh, pure lemonade mixed in with a teaspoon of urine, would you drink it? Portland planned to dump 38 million gallons of pure water after a man pees in a reservoir. Many powerful experiences of God will come…as will many powerful experiences of the enemy…both happening in churches or within popular movements. This is why those who are “experience focused” are at great risk of deception. It may very well feel good, feel like their concept of God…but be a putrid, evil spirit leading them astray. This is why we must be grounded in the Word. Gnosticism is based on a mystical, intuitive, subjective, inward, emotional approach to truth. Gnostics claim to possess an elevated knowledge, a “higher truth” known only to a certain few. Gnosticism comes from the Greek word gnosis which means “to know.” Gnostics claim to possess a higher knowledge, not from the Bible, but acquired on some mystical higher plain of existence. Gnostics see themselves as a privileged class elevated above everybody else by their higher, deeper knowledge of God. Gnostics assert that matter is inherently evil and spirit is good. As a result of this presupposition, Gnostics believe anything done in the body, even the grossest sin, has no meaning because real life exists in the spirit realm only. This is what happened with Adam and Eve. They desired to be more like God. They received a fresh revelation. But, it was truth that was defiled by a demonic teaching. God is calling us to intimacy with the Truth of the Word of God which is what will result in us living undefiled in the image of God. The cross of Christ must be preached! There are strong delusions on the rise and we must beware. 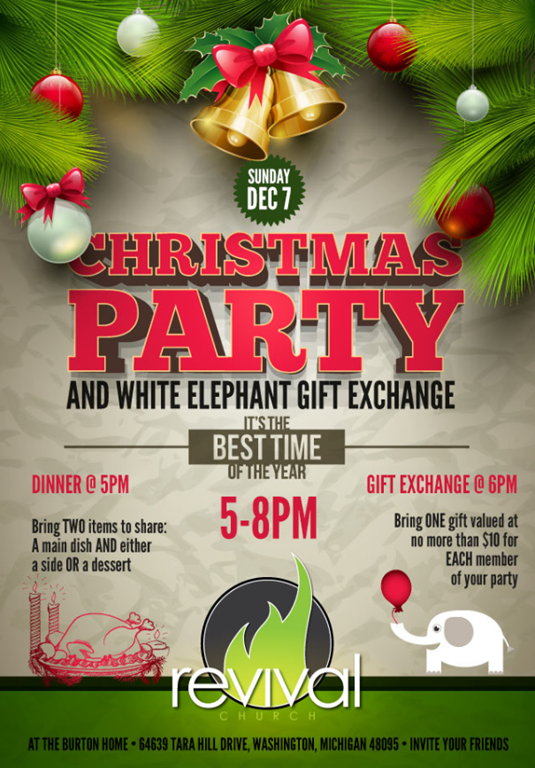 We can’t wait to see YOU tomorrow at the annual Revival Church Christmas Party, Dinner & White Elephant Gift Exchange! Ready for revival in Cleveland? Check this out! 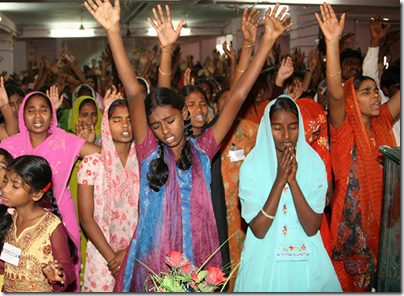 Join us nightly at Worldwide Great Commission Fellowship! Why host revival meetings? What is the anatomy of revival? What does revival look like? Often it starts by a church scheduling revival meetings with a guest evangelist. The meetings usually go for 3 nights up to a week. During that time revival can take root with lives being changed and people touched and filled with the power of the Holy Spirit. So what then? On June 22 WGCF began a week of meetings with Revivalists Daniel Core and John Burton. 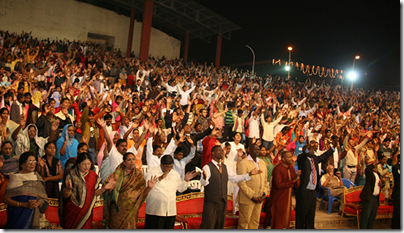 What has taken place is a move of God, an outbreak of real revival. So what is next? God asked me this question, do you want this to be just another set of meetings or do you want a full blown revival? 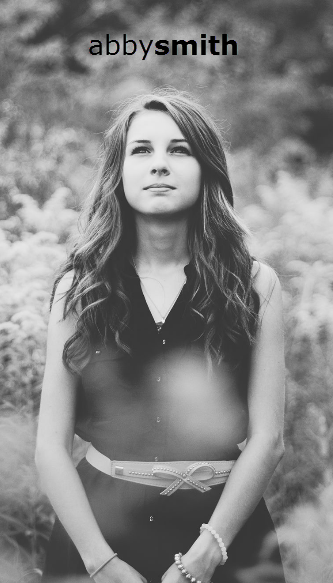 This set of meetings has already turned into full blown revival, so I asked God what to do next? God is saying to go with it even if it means rearranging our church schedule. The Holy Spirit and revival have top priority. When revival breaks out we drop everything and follow what God is doing. Cleveland Ohio I am telling you not to miss the time of your visitation. Revival is here now! I am calling you to come from the north south east and west to experience real revival. Come and be forever changed! Bring food tonight & hear about how to connect at theFurnace! 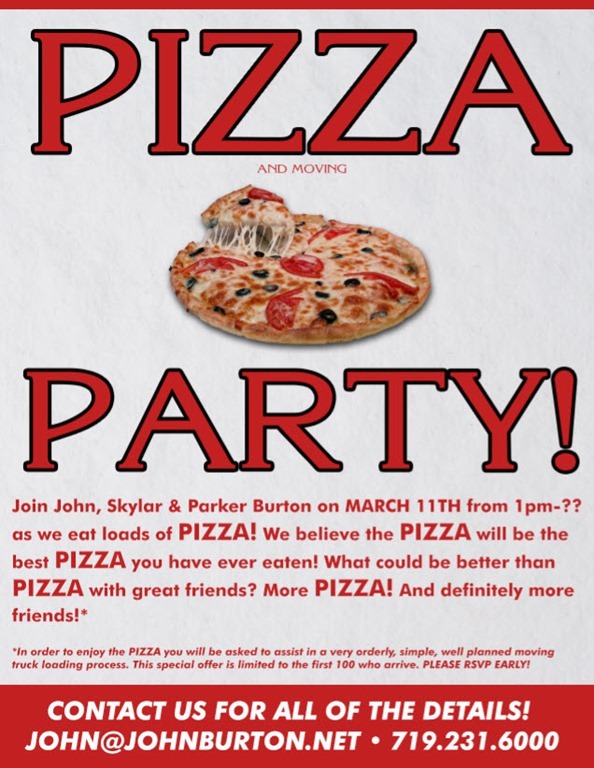 Food, fellowship and information on how to connect on our mission base TONIGHT at 7pm! Bring food to share TONIGHT! After a powerful service we will enjoy food and fellowship together, along with info about how to connect at theFurnace! Show up early if you can, at 6pm, for War Room Prayer prior to the service. Let’s see revival come to the cities of the Earth! theFurnace is a team of people intent on being equipped as end time carriers of fire and prophetic messengers. Our mission base is fueled by fervent prayer and passion for revival in the cities of the Earth. Once a week you will participate on a conference call, led by one of the leaders at theFurnace. You will gain an understanding of our passions and will be able to join in our culture of intercession. This three month school of fire will radically transform your life, and will help you capture the vision, passion and DNA of our ministry. 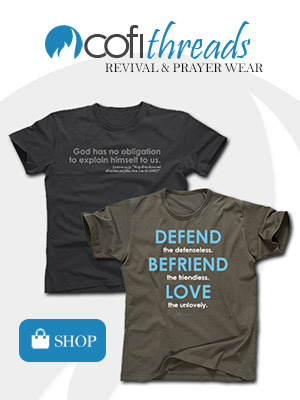 You will complete assignments, read books, listen to teachings and participate with us in prayer and ministry events. After successfully completing theLab University, you will be interviewed for a chance to join theLab Team. You will be involved with a team of amazing people and minister according to your passions and giftings. Prepare to get ROCKED this Friday at 7pm. Pastor Samuel Tatikonda will be at Revival Church. FIRST: Tonight (Sunday) at 7pm at Revival Church we will continue in worship & equipping. 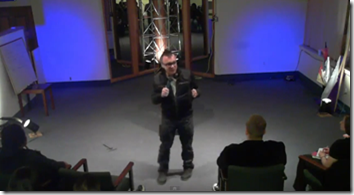 There has been an unusual glory of God that has been manifesting on Sundays lately…and it arrived last night as well. Something supernatural is happening! 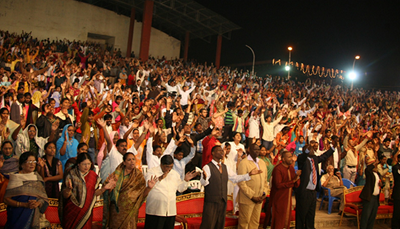 The easiest way for you to understand just what you are getting yourself into this FRIDAY is to watch some powerful videos of Pastor Samuel Tatikonda ministering in India. Then, I’ll share a video of Pastor Samuel delivering a young man from a demon. Bring the whole family and anybody who needs a jolt of fire! We will all be together in a wild atmosphere of prayer and ministry! Tonight at 7pm: Revival Church begins its new Sunday Equipping Service! Are you interested in discovering how to burn hot for God and to participate in an Acts 2 level transformation in your city? Join us TONIGHT at 7pm for our brand new Sunday Equipping Service! 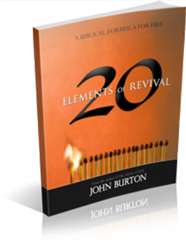 After at time of worship, intercession and rapid fire prayer, I’ll begin a series based on my book 20 Elements of Revival. This is an extended version of theLab University class on the book. You are sure to get equipped and come alive to God’s plan for your life in the end-times! I can’t wait to see you TONIGHT at 7pm! Learn more about Revival Church at www.explorerevival.com. One I’d strongly encourage you to listen to is a very impacting and strange story about the death of my dad. It will rock you.